ICT Organics developed Earth Harvest, the first full-line, organic-compliant set of products in the consumer segment, all EPA section 25-b exempt, yet economical and proven effective in real world trials conducted in major university research plots and with the "Pro's" in the field. 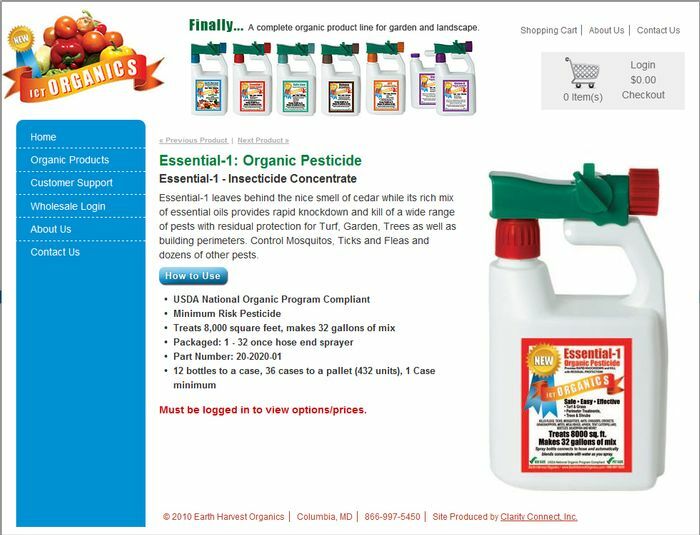 Earth Harverst allows homeowners to accelerate their transition to organic lawn and landscape care products.ICT Organics, the best known and most respected name in the organic turf and landscape business. 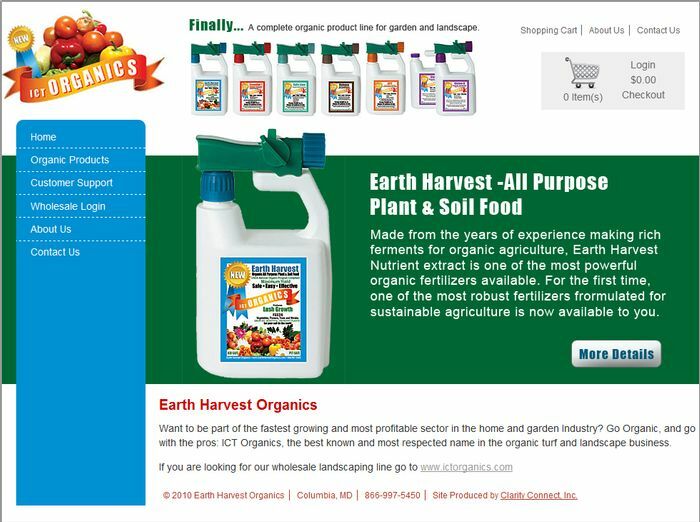 Now, with its Earth Harvest line of products, ICT Organics brings the same expertise, research and customer service that earned that respect to the consumer retail segment. To make it easy for distributors, wholesale customers can login and place orders.